Study daily 23 latest news headlines & current affairs in English from The Hindu, to crack all competitive exams easily with The Tutors Academy. The cleaning of the Ganga is not only an environmental imperative but also an issue weighted by public sentiment and national prestige. 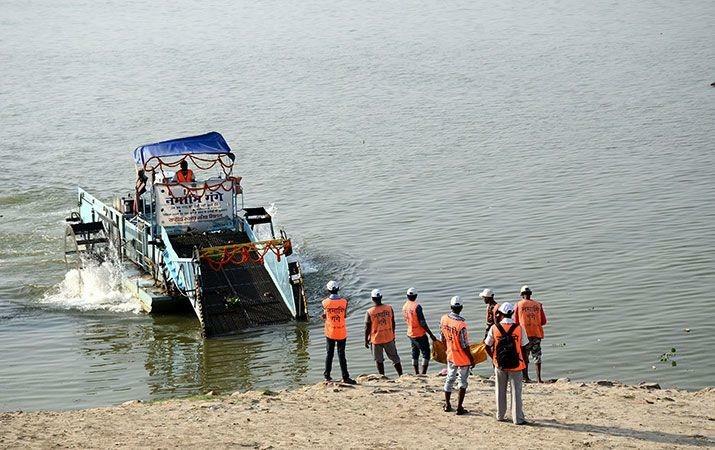 In a bid to make it easier for the public to participate in the efforts, the National Mission for Clean Ganga (NMCG) is talking to the State Bank of India to make it possible to donate to the Clean Ganga Fund from ATMs. Get daily, 23 latest current affairs & news headlines in English from The Hindu. 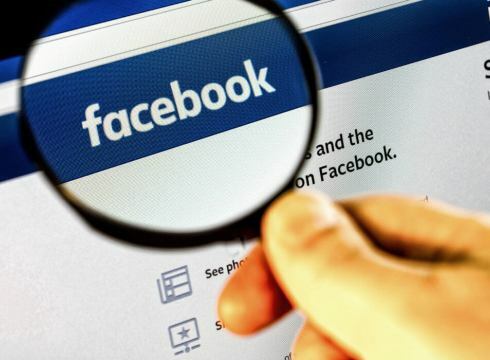 The Central Bureau of Investigation has instituted a preliminary enquiry to determine whether U.K.-based Global Science Research and Cambridge Analytica illegally harvested and misused the data of Indian Facebook users. Ahead of Independence Day, the Centre has urged all citizens not to use national flags made of plastic, and asked the States and the Union Territories to ensure strict compliance of the flag code. An Indian captain stuck aboard an Indian ship stranded at a U.K. port for 18 months due to a long-standing legal dispute over unpaid crew wages and port dues is set to return home, a media report said on August 8. Nikesh Rastogi, 43, is the captain of Malaviya Twenty, which has been held at a port in Great Yarmouth since July 2016. (23 latest news headlines & more current affairs in English). The Opposition nominee, Congress MP B.K. Hariprasad, and the NDA nominee, Janata Dal (United) MP Harivansh Narayan Singh, on August 8 filed notices for election to the post of Deputy Chairman of Rajya Sabha. The election will be held on Thursday, a day before the monsoon session of Parliament ends. The post of Rajya Sabha Deputy Chairman has been lying vacant since the retirement of P.J. Kurien on July 1. Facing flak over the circulation of fake news on its platform, WhatsApp on Wednesday said it was rolling out educational videos in India asking users to double check facts before sharing messages received as forwards. The videos, in Hindi and English, will be available on Facebook — the parent company of WhatsApp — as the platform looks to combat spread of rumours that have incited mob fury cases in the country. “WhatsApp is expanding its user education campaign on how to spot fake news and hoaxes,” it said. 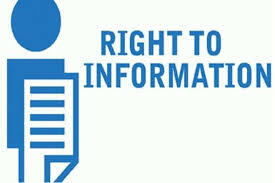 Non-Resident Indians cannot file RTI applications to seek governance-related information from the Central government departments, the Lok Sabha was informed on August 8. The administration in southern Assam’s Cachar district has ordered a magisterial probe into the leakage of data related to the National Register of Citizens (NRC). Files with names of people within the Silchar Sadar circle had been leaked out before the draft was published on July 30. “Two executive magistrates and a State civil service officer have been tasked with investigating the leakage and submit a report within 48 hours,” Cachar Deputy Commissioner S. Lakshmanan told newspersons on August 8. Foreign Secretary Vijay Gokhale arrived in the American capital on August 8 for talks with senior U.S. officials ahead of the first India-U.S. 2+2 dialogue in Delhi in September. Secretary of State Mike Pompeo and Secretary of Defence James Mattis are scheduled to travel to India for the 2+2 dialogue with their Indian counterparts, External Affairs Minister Sushma Swaraj and Defence Minister Nirmala Sitharaman, respectively. For the first time, Pakistani soldiers will undergo training at Russian military institutes after the two countries signed an agreement related to it, in a sign of further strengthening their defence ties. The agreement was signed on Tuesday at the conclusion of the first meeting of Russia-Pakistan Joint Military Consultative Committee (JMCC), the highest forum of their defence collaboration, according to Pakistan’s Defence Ministry. The Russian side was led by Deputy Defence Minister Col Gen. Alexander V. Fomin, who visited Pakistan on August 6-7 to attend the first session of the JMCC. Lt. Gen (retd.) Zamir ul Hassan Shah, Secretary Defence, led the Pakistani delegation during the meeting. Rashida Tlaib is poised to become the first Muslim woman elected to Congress (USA) after she narrowly defeated Brenda Jones, Detroit’s City Council president, in a Democratic primary race to succeed long-time Rep. John Conyers Jr., a Democrat, in Michigan’s 13th Congressional District. She will run unopposed in November. Saudi Arabia said on August 8 that it had stopped all medical treatment programmes in Canada and was working on the transfer of all Saudi patients from hospitals there, in an escalating row after Ottawa urged it to free rights activists. Riyadh froze new trade and investment and expelled the Canadian envoy this week. The Reserve Bank of India’s direction to Paytm Payments Bank restraining it from adding new customers came after the RBI found that the bank had violated licencing norms by outsourcing the decision making on whether an account should be opened or not to business correspondents. One 97 Communications — Paytm’s parent entity — also acts as a business correspondent for the payments bank. According to RBI norms, banks are allowed to outsource collection and verification of ‘know your customer’ (KYC) documents to a business correspondent. But the onus on deciding whether the account should be opened or not rests with the bank. Airtel Payments Bank — the third payments bank which is operational out of the seven that received final licences from RBI — had also briefly run afoul of the banking regulator. The RBI follows July-June accounting year. Last year, the central bank transferred ₹30,659 crore surplus to the government. The Competition Commission on Wednesday said it had approved U.S. retail giant Walmart’s proposed acquisition of Flipkart. In May, Walmart announced the acquisition of 77% stake in Flipkart, the biggest takeover by the U.S. company till date. At the recently-concluded Badminton World Championships in Nanjing, China, of the 20 medal winners, Carolina Marin, who won the women’s singles gold, was the only non-Asian. (23 latest news headlines in English). The BCCI has invited the Nepal U-19 team for One Day series next month. The series is scheduled to be held from September 9 to September 20. Interestingly, National Cricket Academy (NCA) will also be participating in the tournament, the State news agency Rastriya Samachar Samiti (RSS) reported. Reportedly, Nepal cricket team is still waiting for the permission from the ICC to participate in the event. Kenyan athlete Nicholas Bett, the 2015 world 400m hurdles champion, was killed on August 8 in a car crash near his home in western Kenya. The Ford Mustang — an iconic American brand and a symbol of cool — reached a major milestone on August 8 as the 10 millionth vehicle rolled off an assembly line at a Detroit-area plant. (23 latest news headlines & news updates in English). The DNA Technology (Use and Application) Regulation Bill, 2018 has been introduced in India’s Parliament this week, with a view to creating a national DNA database for solving crimes and identifying missing persons. Article 35A is a provision incorporated in the Constitution through a Presidential Order, and not by parliamentary debate, giving the Jammu and Kashmir State Legislature a complete say in deciding who the ‘permanent residents’ of the State are. The State Legislature can grant its permanent residents special rights and privileges in public sector jobs, acquisition of property, scholarships and other public aid and welfare programmes within the State. How did the Article come about? It was incorporated into the Constitution in 1954 by an order of President Rajendra Prasad on the advice of the Jawaharlal Nehru Cabinet. The Constitution (Application to Jammu and Kashmir) Order of 1954 followed the 1952 Delhi Agreement entered into between Prime Minister Nehru and Jammu and Kashmir Prime Minister Sheikh Abdullah extending Indian citizenship to the ‘State subjects’ of Jammu and Kashmir. Article 35A was added to the Constitution as a testimony of the special consideration the Indian government accorded the ‘permanent residents’ of Jammu and Kashmir. The Presidential Order was issued under Article 370(1)(d), which allows the President to make certain “exceptions and modifications” to the Constitution for the benefit of Jammu and Kashmir. However Article 368(i) of the Constitution mandates that only the Parliament can amend the Constitution by introducing a new article. This refers to the view that the physical conditions prevailing in the universe are fine-tuned in such a way that it helps sustain various forms of life. It is argued that the different physical constants like the strength of gravity, for instance, as well as the laws of physics, are fine-tuned to support life. Accordingly, even a small change in the physical dimensions of the universe from its present form can make it inhabitable for any life form. The belief that the universe is fine-tuned for life has been used as an argument in favour of the creationist view that only the presence of a supernatural being can explain the universe being intelligently designed to sustain life. Get daily, 23 latest news headlines and current affairs in English, To crack all compoetitive exams with The Tutors Academy.